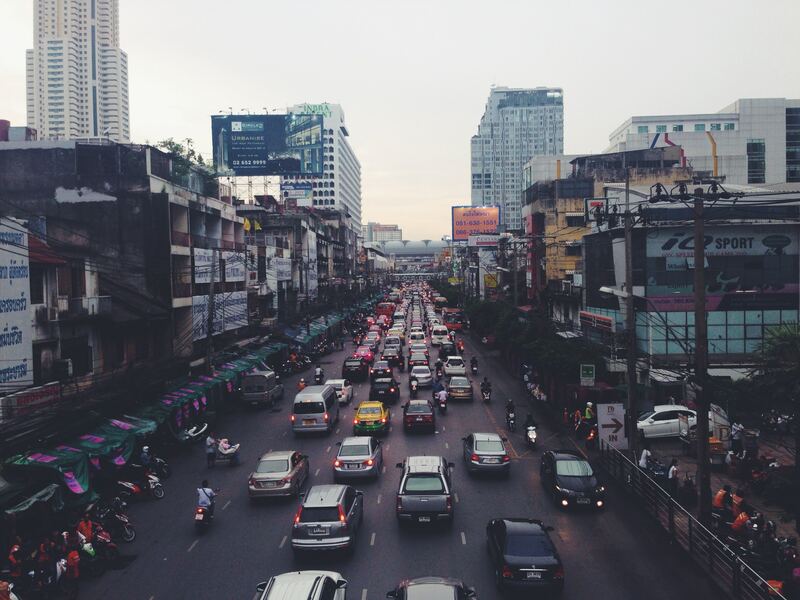 Each driver spends on average several dozen hours a year in traffic jams. It’s little wonder, as we witness an unprecedented rise in the number of cars, while the number of new car parks hardly keeps up with this pace. Since 2008, traffic congestion has increased by 23% globally, and a huge chunk of city traffic is generated by drivers looking for parking places. Drivers lose valuable time and it does happen that they have no other choice but to park in forbidden spots. What is the source of this problem? Firstly, a mere few decades ago nobody would even dream that there would be so many cars on the roads. That’s why, among other factors, smart traffic control transportation systems aren’t able to keep up with the dynamic development of the automotive sector. On the other hand, investments in the new road can alleviate the problem only a little, while poor driving skills which, often unaware, disturb the traffic flow, are of no help, either. Secondly, a constant migration of people takes place: town and village residents commute daily to work in nearby metropolises, which generates additional jams and problems with finding parking spaces. If we were to point the most jammed cities, the largest capital cities would make a sure bet, which is confirmed by virtually all the available tests and reports. Which of the largest cities, however, makes it to the top of the congestion ranking, depends on many factors. Companies rely on different data sources to measure cities’ congestion: apps users, car navigation systems, and data collected by municipal services. For example, according to the latest TomTom’s ranking which looks at 189 most crowded agglomerations across the world, Bucharest is the most heavily congested city in Europe. Only four cities in the world are more crowded than Bucharest, and they are located on other continents, the capital of Mexico is the highest on the list. In Mexico City each year a driver spends 227 hours extra in traffic jams. The runners-up in the global ranking of congested cities over 800,000 inhabitants are Bangkok, Istanbul, Rio de Janeiro, and Moscow. To put its ranking together, TomTom used data collected over nine years before and up to 2016. The most important factor taken into account was the extra time needed to cover a certain distance during peak hours. Bucharest’s scored at 50% efficiency level which means that it usually takes 90 minutes to drive along a designated route, while in off-peak hours only 60 minutes are enough to travel the same route. The collected data showed that the situation had deteriorated by 7% compared to the previous year and that the extra time needed to reach the destination had increased in many global agglomerations to 90% in the morning peaks, and to 98% in the evening rush hours. Attempts to cope with the problem of congestion in cities aren’t always successful. Still, too few new car parks are being built, while public transportation seems inefficient and not too encouraging for people to switch to buses or underground. Drivers can be greatly helped by special mobile applications, such as WinkPark, as they facilitate the process of locating available parking spaces.